In 1859, Yokohama was a bustling city poised at the gates of a nation recently opened to the outside world. Yokohama's harbor teemed with newly arrived foreign ships, and the smoke from Japan's first steam engine trains billowed over the city skyline. It was in 1884, more than 120 years ago, that the first Heichinrou Restaurant opened its doors in Yokohama, in the city's Chinatown. 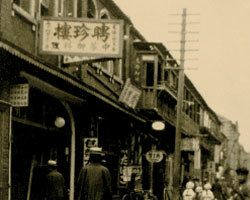 Today, Heichinrou is Japan's oldest and most loved Chinese restaurant. 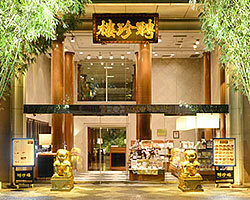 Superior service to generations of customers has earned Heichinrou restaurants nationwide a loyal clientele. Yokohama and the lives of its citizens have changed greatly over the years. At Heichinrou, however, the care and pride that our original Yokohama restaurant put into serving each of its customers remains the same. We prepare every meal with only the freshest, highest-quality ingredients available. Our chefs employ skills and knowledge handed down from master to apprentice to create the finest in authentic Cantonese cuisine. "The finest food, the warmest service, and the best restaurant." This has been our motto since the day we opened. And we continue to proclaim and to uphold that motto every day.